The proposed Borders Gateway development. A bid to build a £12m hotel and retail park expected to create 100 jobs at Tweedbank is supported by the vast majority of villagers and local businesses, it is claimed. Premier Inn, Costa Coffee, Marks and Spencer and BP have all signed up to the proposed Borders Gateway project on Tweedbank Industrial Estate. A full planning application submitted to Scottish Borders Council by Edinburgh-based Manor Place Developments at the end of last month has now been validated by officers ready for consideration by councillors. A supporting statement says the project has the overwhelming support of people living close by and that local businesses are also on board with the plans. The proposed Borders Gateway development includes a 71-bedroom Premier Inn, the company’s first in the reion, and a Costa Coffee outlet with drive-through facility, as well as a BP fuel station and an M&S grocery store. If approval is granted, it is expected that construction on the 5.68-acre site, formerly owned by do-it-yourself chain B&Q, would start early next year. 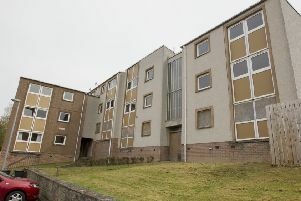 A spokesperson for Manor Place Developments, a subsidiary of New Land Assets, said: “91% of over 250 local residents who attended a public exhibition were in favour of the development due to the benefits of job creation and to avoid having to drive to Galashiels for food and petrol. “All businesses located in Tweedbank Industrial Estate consulted were in favour of the development also as it would raise the profile of the estate and bring much-needed support facilities. “The industrial estate is not up to modern standards and there are no catering or hotel facilities in the immediate area. “The filling station and the associated M&S unit will benefit from the range of activity that is focused on this location, with business users on the neighbouring industrial estate, road users passing through the area, tourists travelling north and south on the trunk roads, station users and also local residents looking for fuel and a pass-by top-up shopping function on their way to and from work and on leisure trips. “The Costa drive-through restaurant will benefit from being within a commercial roadside environment and will attract spin-off trade from other commercial operations on the site. “The highest profile proposed occupier on the site is Premier Inn. “This would be the first Premier Inn to be located in the Borders, with the nearest other being in Dalkeith. “The benefits of having a Premier Inn on the site will be significant. “Virtually all Premier Inn bookings are undertaken via the web, and this system alone will draw travellers to Tweedbank who would not otherwise have considered this location. “The proposed Premier Inn will also extend the tourist season through operating a hotel at full service throughout the year.